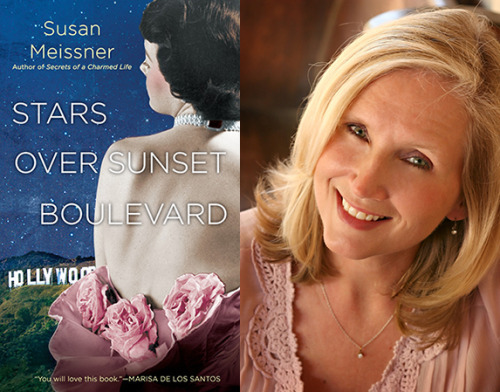 In Stars Over Sunset Boulevard, a new novel from the acclaimed author of Secrets of a Charmed Life, two women working in Hollywood during its Golden Age discover the joy and heartbreak of true friendship. 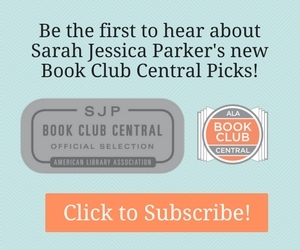 Fans of historical fiction and readers of Sarah Jio and Kate Alcott will fall in love with this charming story. Check out Susan Meissner’s letter below, where she talks about her love of the library. I grew up in a home where bookshelves were a necessary piece of furniture in every room, and where reading was as common an activity as eating breakfast and brushing our teeth. It was a happy house, but not one of extravagance, or even of plenty. Books might have been the only thing we had in abundance. We weren’t poor, but neither were we rich. My parents bought used cars, we didn’t go on family vacations, and eating out was getting Filippi’s pizza to go. We had the essentials, though: love, laughter, and library cards. My family didn’t travel on summer breaks to fun or exotic or faraway places. We never went to the Grand Canyon or Yellowstone or the East Coast. But I’d been to San Nicolas Island, and the forests of Wisconsin, and the moors of Yorkshire, all by the time I was ten just by reading Island of the Blue Dolphins, Little House in the Big Woods, and The Secret Garden. Despite spending my entire childhood in one little corner of San Diego, I tasted raspberry cordial in Anne of Green Gables, entered a pig in a county fair in Charlotte’s Web, and flew in a glass elevator in Charlie and The Chocolate Factory. On the outside I lived a quiet, unassuming life with no visible luxuries, but on the inside, I traversed continents and time zones and even dimensions every time I brought home a pile of books from the library. The kid in my class with the richest parents and the nicest clothes and the best toys had the same library card that I did. We stood before the same shelves. We were allowed to check out the same books and even the same number of books. Looking back on it now, I think that was the most amazing thing about the library. Everyone who walked through the doors was suddenly the same as me, which is pretty amazing when you’re a kid (and a future writer) who notices everything. The hallowed halls of the library equalized us into nothing more or less than fellow book lovers and seekers of knowledge. The library was and still is for me, the place where what I own and who I am doesn’t come into play. It’s all about what I want to know. And I am still, all these many years later, so very hungry for knowledge. I write to understand this world and our place in it, and, I suppose, I was a reader first for the same reason. My latest novel, Stars Over Sunset Boulevard, is a tale about two studio secretaries whose goals collide on the movie set of Gone with the Wind in 1939. Like many of my other books, the story is set in a historical time and place that abounds with opportunities for sensorial detail. Hollywood in its pre-television heyday was a dream factory of glamour and bright lights, long white gloves and fedoras, big bands and streetcars. This is a world that is gone today, existing now only in books. It’s a heady notion that, if I’ve done my job right, my story will transport readers – regardless of class or health or age or means – to a place they cannot visit any other way. Truly the most remarkable thing about book travel is that the only thing a person needs in his or her wallet is a library card. The books are the destination, we authors are the privileged tour guides, the readers are the lucky passengers, and the libraries? They are the vessels that take us wherever we want to go. We only need step aboard and off we go. On April 20th we hosted our first Open Book Event, a tristate program of book buzzes, editor panels, and author presentations. We had six fabulous authors including Tara Clancy, Fiona Davis, Imbolo Mbue, Tom Rinaldi, Jeffrey Toobin, and Amor Towles! Click below to watch their fantastic speeches. Click to Watch Author Presentations.